I very much want to thank everyone who left a comment on my Of Chickens: Gathering Information post. Your experiences, opinions, and feedback are very helpful. Now, here is something else about which I'd love to hear what you have to say - chicken feed. Seems like the subject ought to be simple enough. Yet in spite of the fact that peoples around the world have successfully raised chickens for millennia without the aid of modern science, every book and online article I read made me feel that feeding chickens is a highly technical and complicated subject. That mixing one's own is obviously not something beginners should attempt, and that I am totally inadequate to the task. Good grief: starter ration, lay ration, pullet ration, breeder ration, adjusting protein, Pearson's square, scratch, feedstuff analysis, calcium, minerals, vitamins, cost analysis, and recipes that yield a thousand pounds or more of feed! I got overwhelmed! Finally, while pricing chicken feeds on Tractor Supply, it occurred to me that complete commercial feed formulations are necessary for contained birds. Birds which are pasture fed or allowed to free range, and whose diet is supplemented with garden and kitchen scraps get a good percentage of their nutritional needs met in those ways. What I need to do, is to supplement their diet with grain, which should cost less than buying a commercial ration. The ideal scenario, would be to raise our own grain, which I've mentioned is one of our goals for 2010. Of course, that won't help me this spring when my chicks arrive, so I am looking at buying chick starter at least. I have several concerns about buying chick starter, chicken feed, and/or grain. The biggest is GMO feeds, which I do not want to use. Yet so far I can't find a local source for organic chicken feed. At the very least I'll need starter feed. Still, it seems that a prepackaged starter ration would be the easiest way to get going, even if it isn't organic. Then there's the question of medicated or non-medicated. 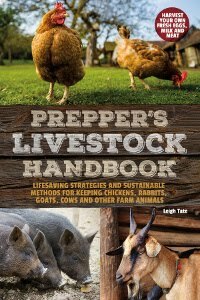 In general, I found a good article on feeding chickens here. Lots of recipes for chicken feed here. There's a chicken treat (kitchen scraps) chart here. I know my neighbor (who has since moved) tracked down organic feed for her chickens; she sold organic eggs. Raising a greater percentage of our chickens feed (corn and another grain) is on my ToDo list as well. Until then, I haven't put a lot of research into the feed selection. I suppose our present ration contains GMO corn. Too bad it's not labeled. I feel so much safer not being able to check the label for defective ingredients. Anyway, I always seem to reference this site, but I recommend the Chicken FAQ by Robert Plamondon. He commercially raises true free-range eggs near us here in Oregon. You might not agree with everything he says (I know I don't), but he's got a fair amount of experience with chickens and cuts a line somewhere between quality and practical. I love chickens and wish we could a couple around. Who would ever think something so simple as a chicken could be so confusssing. Good luck and I'm sure what ever chickens you decide to raise and what food you choice to give them it will all turn out great. Michelle, I wonder if she found a local source(?). I've found it online, but shipping and handling really knock it out of the purchasing box for me. Lee, thanks for the link! I always appreciate differing points of view in my research as it gives me a basis to figure out what's right for us. I agree that it's too bad that GMO products aren't labeled. I remember being part of a letter writing campaign for that back in the late 90s. Obviously to no avail. Barb, thanks! Maybe you could have a couple around. A lot of folks keep them as "pets" you know. Katrien, thanks! I'm just glad my research is helpful to someone besides me! So on chicken feed. boy have we ever tried a million different things. One website I would recommend for the casual or dedicated poultry person is plamondon.com The fellow who makes this site is just wonderful and has a billion years of pasture and confinement experience. What we've experienced with our birds is you can do whole grain, you can do formulated, or somewhere in between and do just fine as long as they get enough to eat! Most whole grain feed mixes include a protein meal like fish or soy and vitamin/mineral balancer. Those two additions to feeding are pretty important, even if they have range access. Green veg and bugs are scarce some parts of the year and a good backup really helps. We do a mix of grains, free range, kitchen scraps, and layer crumbles. When the chickens have too little to eat they lay poorly, like our group of 40 chickens who were producing 2 eggs a day. We changed from a round feeder to a tube feeder (more can eat at the same time) and now we get 2 dozen a day in the winter! I don't know if you've seen this blog, but this New Hampshire blogger knits, gardens, raises and butchers chickens, and does a host of other cool things. Aubryz, thanks! I am really interested in how others feed their chickens and what results they have so this is really helpful. Also thanks for the chicken site. You're the second person to recommend it, so obviously it's a must read for me. Sue, thanks! And thanks for the link. Definitely looks like a good blog. My neighbor Mim is my egg lady, also a fiber friend and the owner of a much coveted electric Patrick Green mini-mill. I don't know what she feeds but I know it's cheaper to buy eggs. Sharon, maybe. I have to admit that at first I just wanted to compare the cost to the eggs I bought in the store. Then I asked myself, are caged birds who never see the light of day and who are fed a cost effective ration, really laying the same quality of egg as a bird allowed to roam and fed a higher quality ration? I think ingredients are important too. Some things that are fed to animals aren't good for them, in the same way that some of the things we eat aren't good for us. So I'm trying to think of it as a "get what you pay for" proposition. I say feed them good stuff because you will be eating there eggs and maybe even them! We are able to get good feed here in the NW. We also grow enough garden to give the offerings to our animals. That is why our corn and bean rows are so large! Nothing goes to waste. We don't worry so much about what all the books say...chickens need plenty of water, grain, greens and bone meal. They go nuts if they don't have a good diet. Chicken advice is like baby advice...too much can make you nuts! Julie, that's the advantage of having one's own chickens, i.e. feeding them the good stuff to have a superior product! Flower, *LOL, I know what you mean about the advice. Still, everyone's comments have been very helpful. 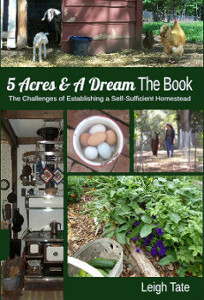 I don't have chickens anymore but I have a friend who has an heirloom seed business from her acreage and she raises heritage vairieties of chickens and turkeys, she supplements their feed with sunflower seeds she grows, she says they don't peck at each other as long as she adds the sunflower seeds to their feed. Wish I had known this when I had a flock! CJ, I meant to answer this earlier, and to thank you for this information. I've been reading a lot about chickens, but the practical experiences of others speak volumes!